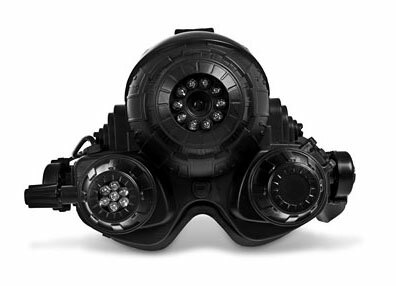 These might seem like ordinary night vision goggles but they are as good as any other professional goggles and these cool looking infrared night vision goggles will allow people of age 8+ to see as far as 15 meters in absolute darkness. These goggles make use of the infrared light and let you see in darkness either in green color or in gray and white colors. This is one great tool you can use to either watch owls at night or spy on any other creepy and sneaky little character that is crawling your backyard. These infrared night vision goggles are suitable only for children of age 8+ and will also fit well to any adult who wants to see the world from a soldier’s eye view. Since its head strap is adjustable so you need not to worry about its fitting on your head. These set of lenses require 5 x AA batteries to function properly. 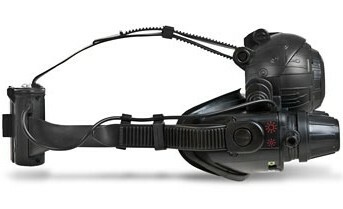 These night vision goggles measure only 20 x 19.5 x 15.5 cm and are very light weight. You can get one of these Infrared Night Vision Goggles for under £100 at a remarkable 35% discount price via iWOOT.